We’ve got a potent Full Super Blood Moon Eclipse in Leo to start off 2019 with. Talk about major endings! This moon brings attention to relationships, family life, leadership, and expressing your creativity. You may find this month old painful patterns reemerging to be released. Don’t get down on yourself if you find yourself yet again in a repeating pattern. This is the final #byefelcia moment for you to let go of outdated beliefs and things or people that aren’t serving you anymore. Take time to celebrate how far you’ve come and reflect over the major themes and lessons in your life. Eclipses always bring about major CHANGE so take time to explore your passions this month. How do you like to express your creativity? Are you showing up as the leader in your life? Have you been holding back from taking center stage? Leo inspires us to lead from the heart and have the courage to trust how we FEEL. Your intuition will never guide you away from your highest good. Spend quiet time listening to the gentle whispers of your soul. 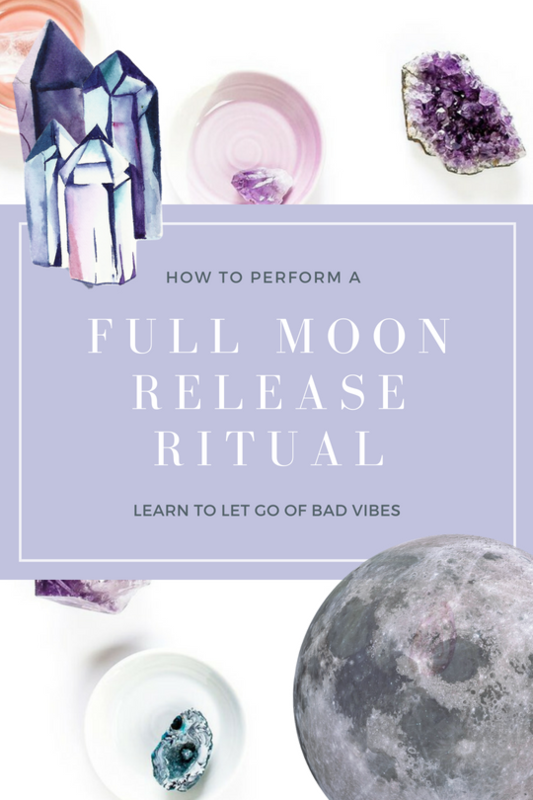 Try this Full Moon Release Ritual (and FREE guided meditation) to help you release and reconnect. This week we’ve got a powerful Full Super Blood Moon Eclipse in Leo (whoa!) so we’re being invited to lighten the load and relax a little! Play! When is the last time you had some FUN? Get back to your childlike ways of spontaneity and joy. Don’t take yourself so seriously and remember to celebrate the small things. Get grounded. Calling all sensitive empaths. Now is a time to reconnect with nature and ground yourself. There is a lot of emotion on the rise this full moon, so make sure you spend quiet time alone to recharge. Inner temple. Create a sacred space and spend time in devotion. Tune into the portal of your heart and let her lead the way. Your heart whispers in the quiet spaces so make time for yourself this week.